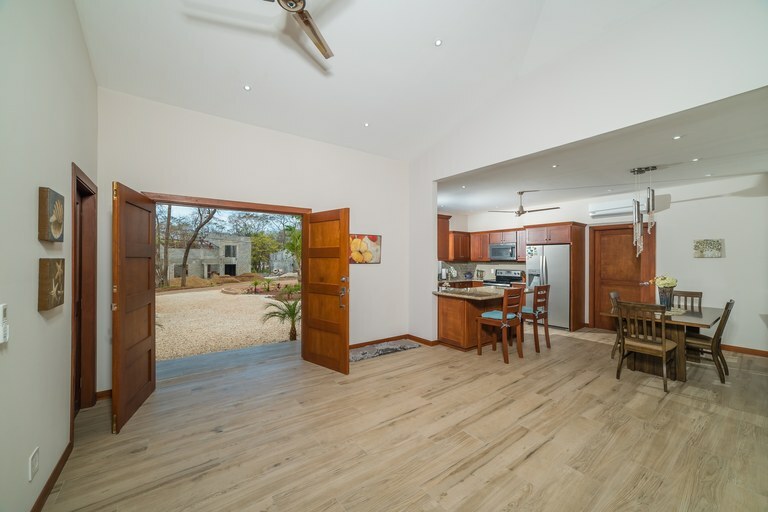 The property is a one level home with vaulted ceilings and boasts an open floor plan. As you walk in through the tall thick wood double doors, you enter into the oversized living room that has a TV sitting area and has sliding glass doors to a covered patio, large pool, and a beautiful, spacious backyard. At 1950 sq ft., this home was designed for entertainment. 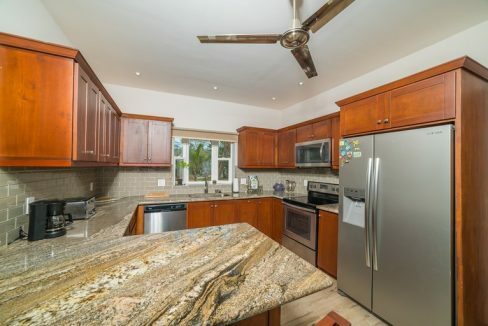 It offers a gourmet kitchen with stainless steel appliances, solid wood cupboards, and granite countertops. The dining room is just off the kitchen. 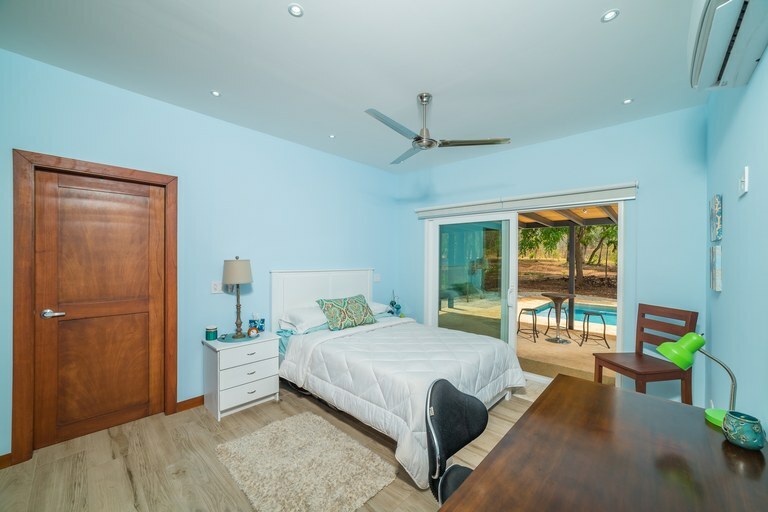 Each bedroom has its own ensuite with plenty of cupboards and drawers, quartz counter tops, and a bathtub in each one. 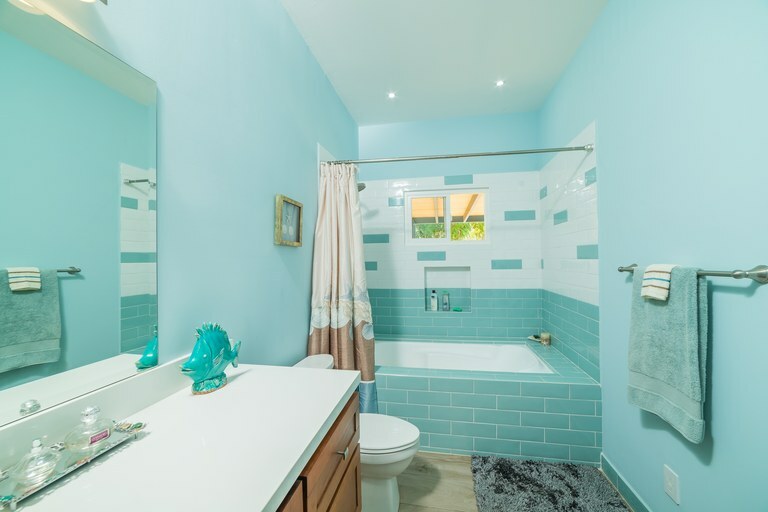 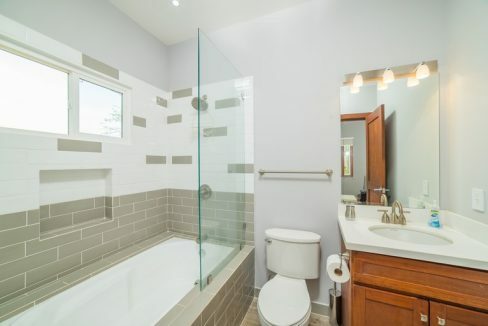 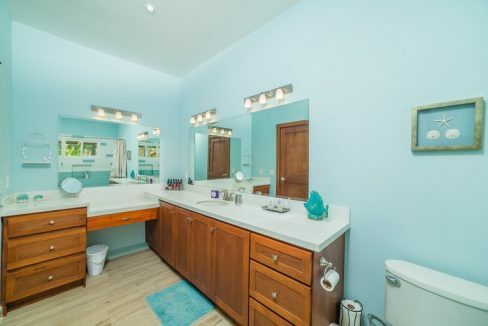 There is also a powder bathroom to use off the main living area. 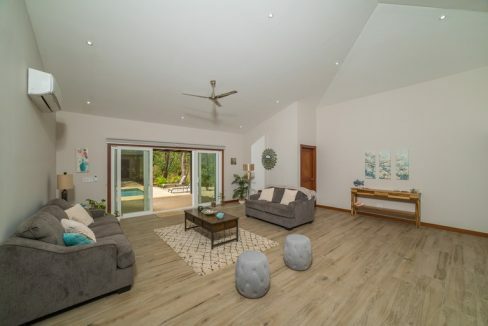 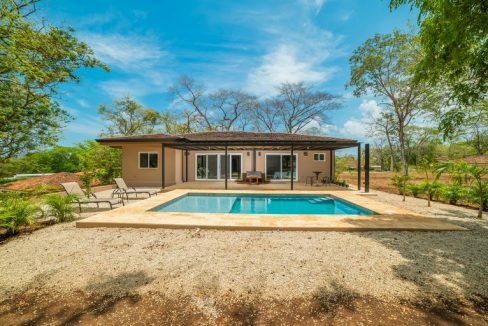 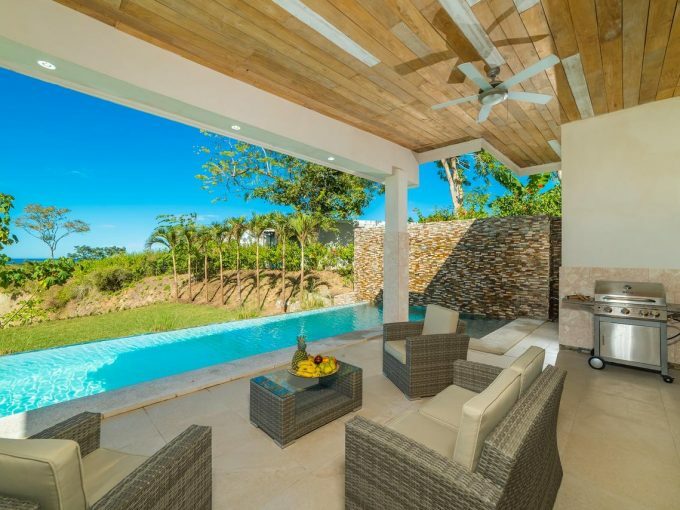 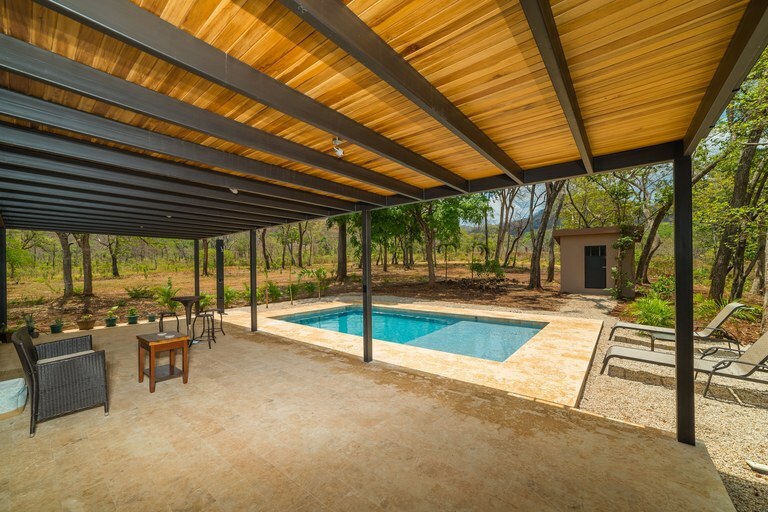 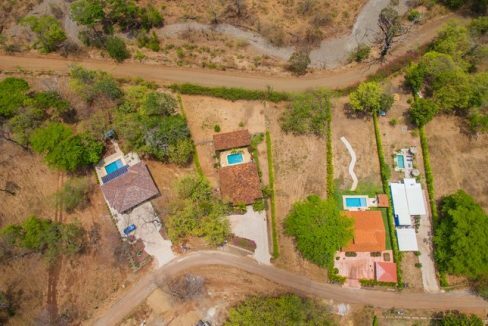 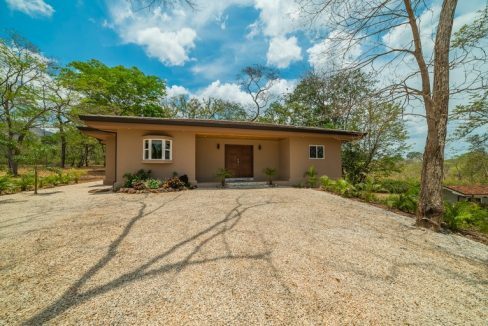 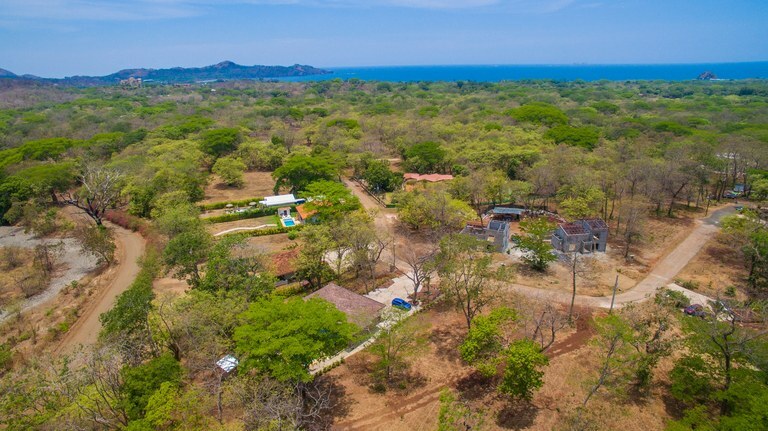 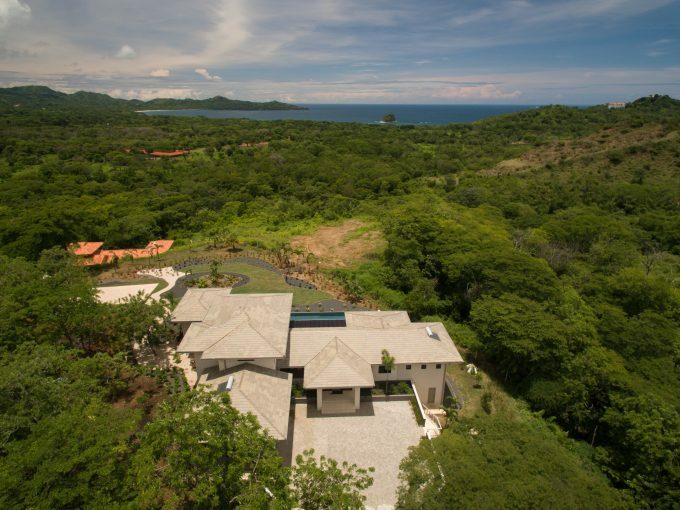 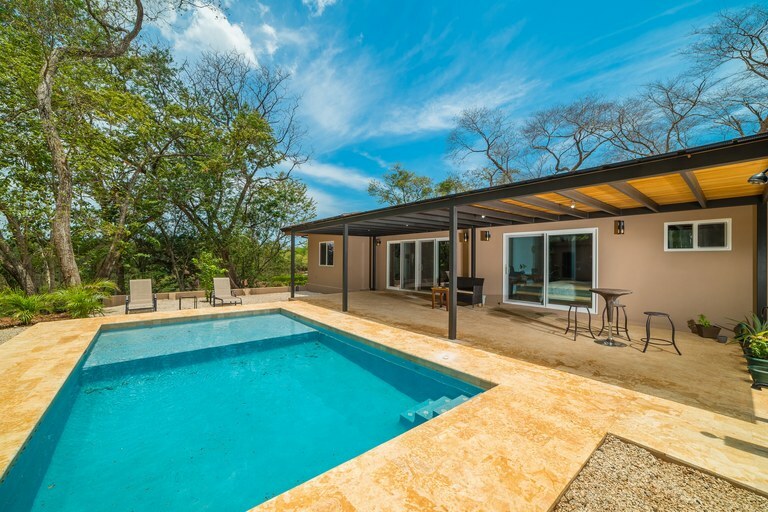 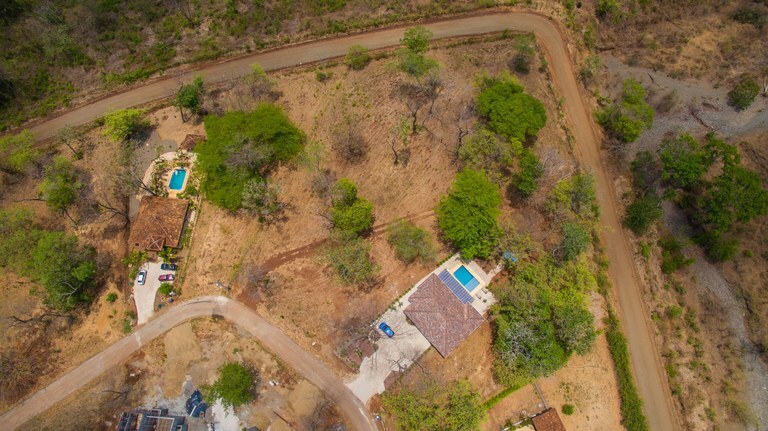 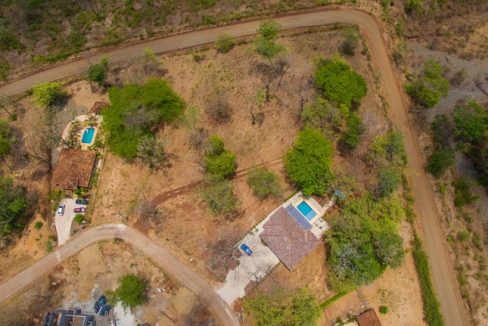 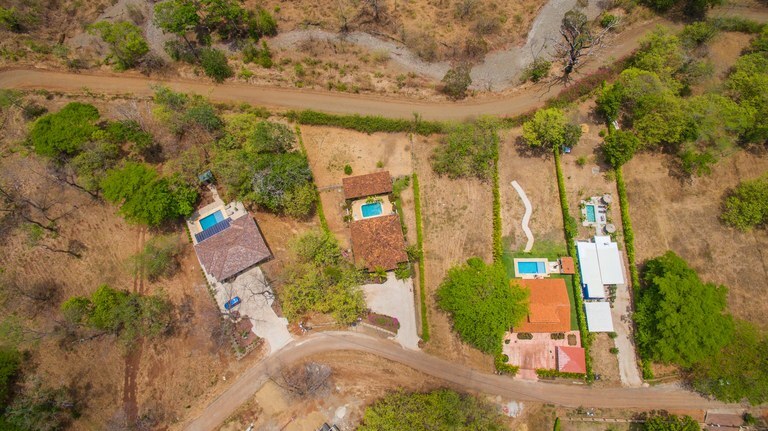 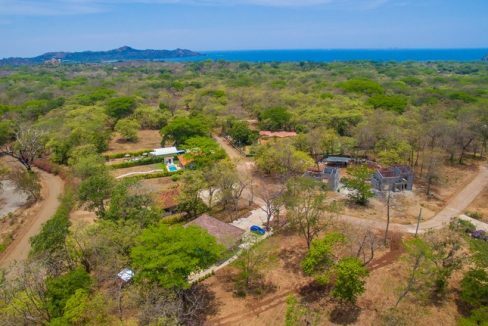 Located on ¾ of an acre treed lot that looks at a double mountain landscape, the private backyard offers a large pool to cool off in after a day in the Costa Rican sun and a large covered patio space for year-round relaxation or happy hour with friends! 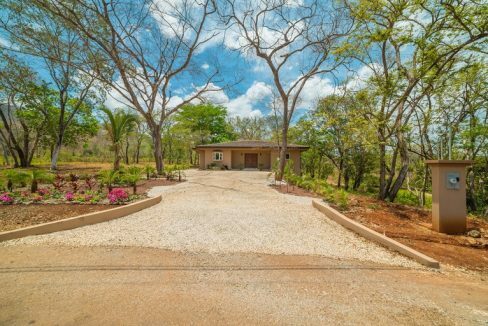 There is a bodega for storage and fruit trees out back too! 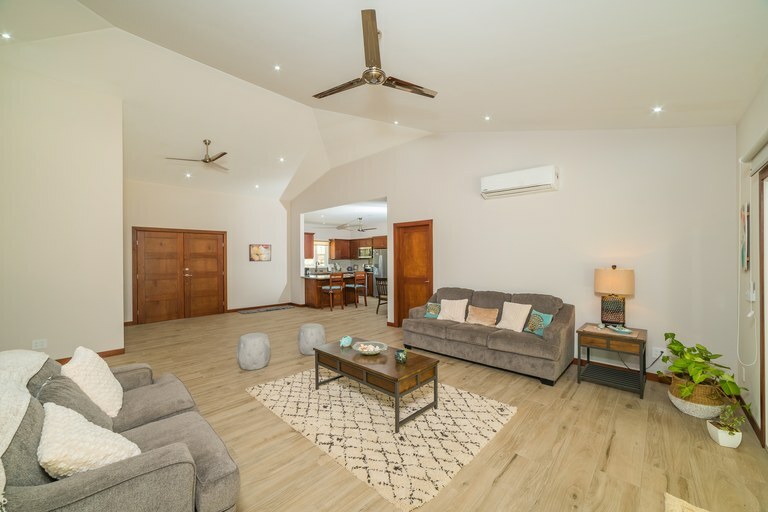 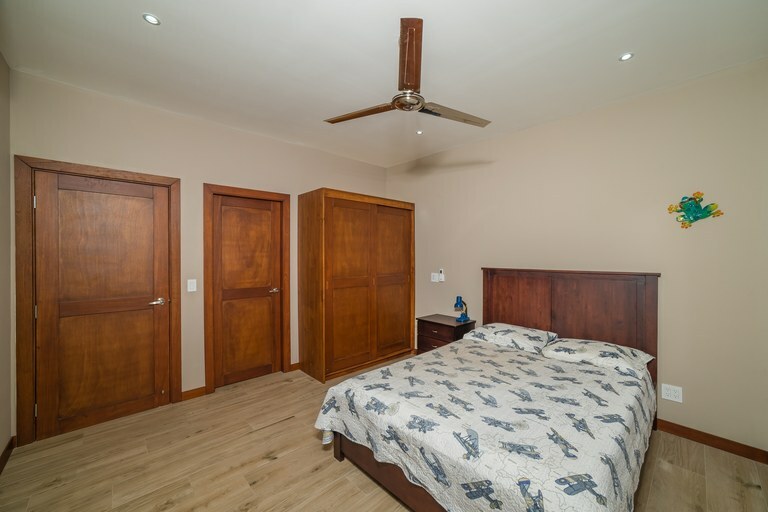 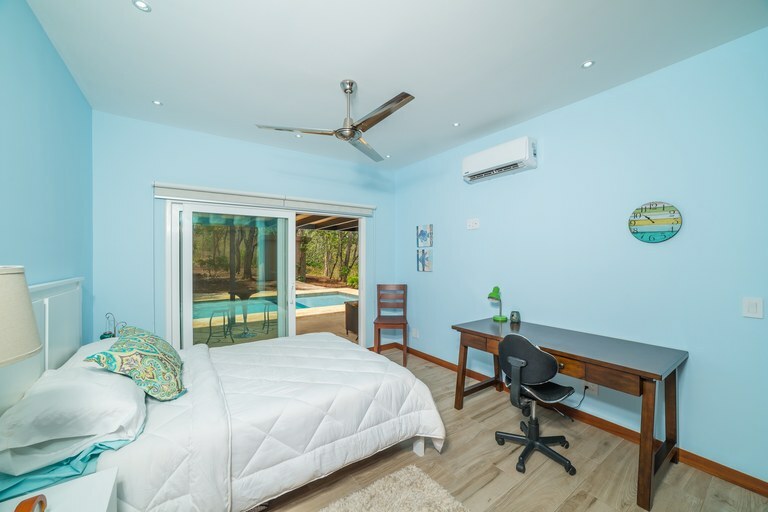 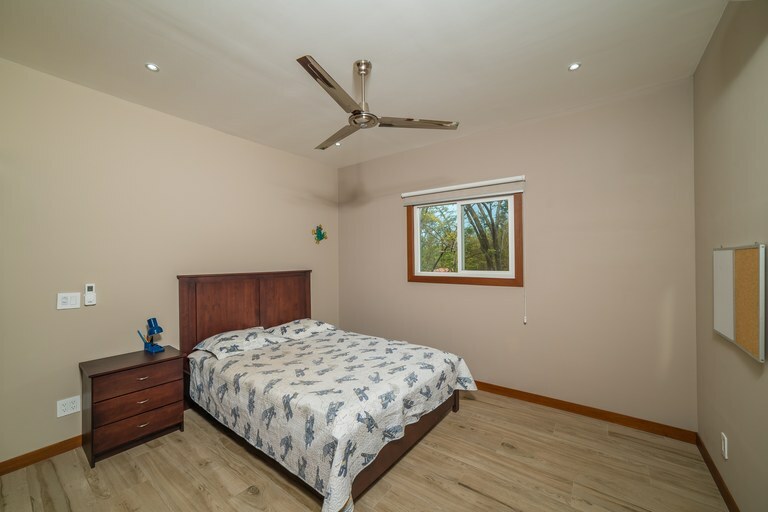 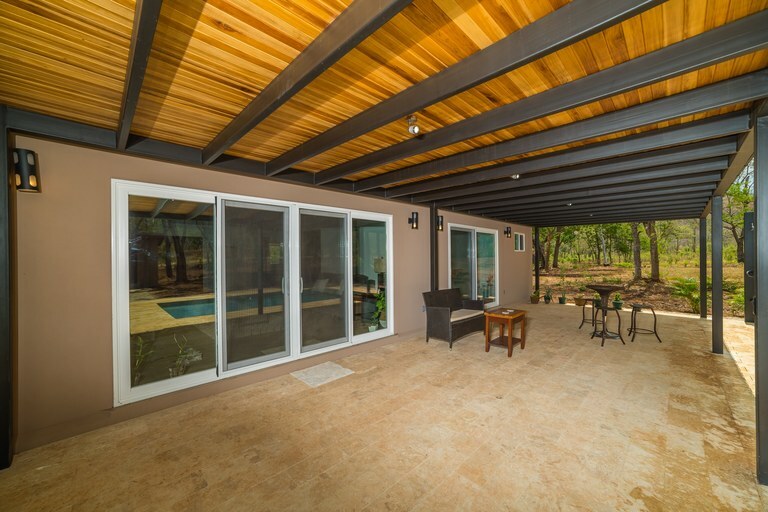 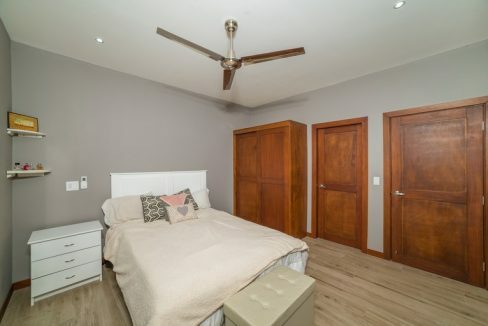 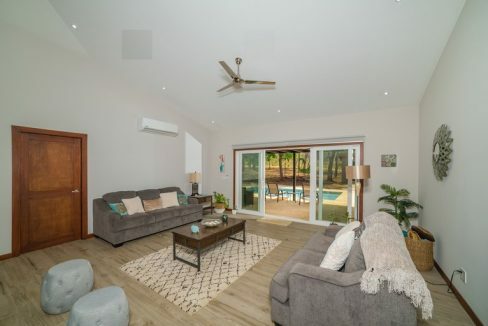 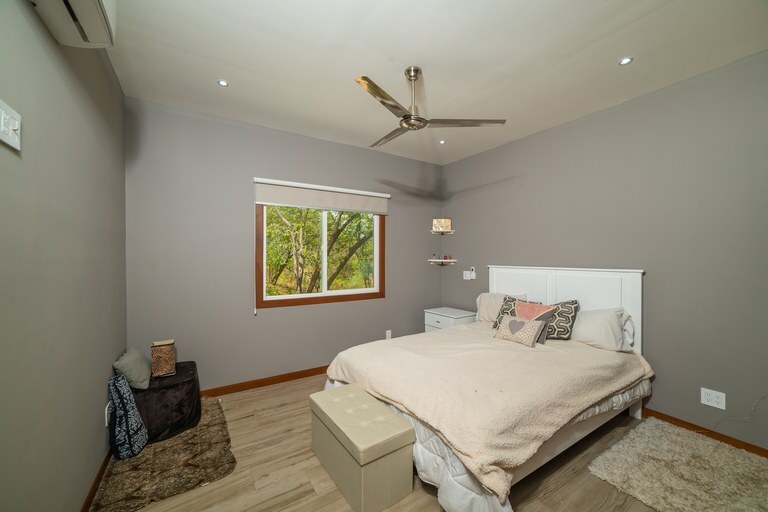 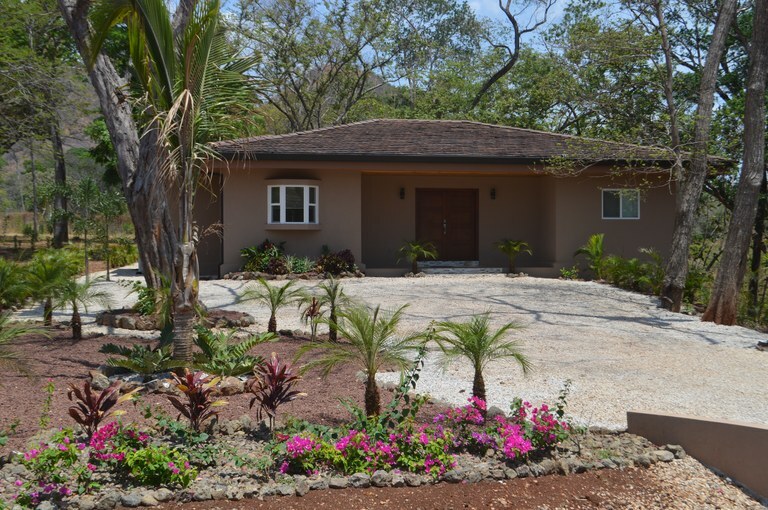 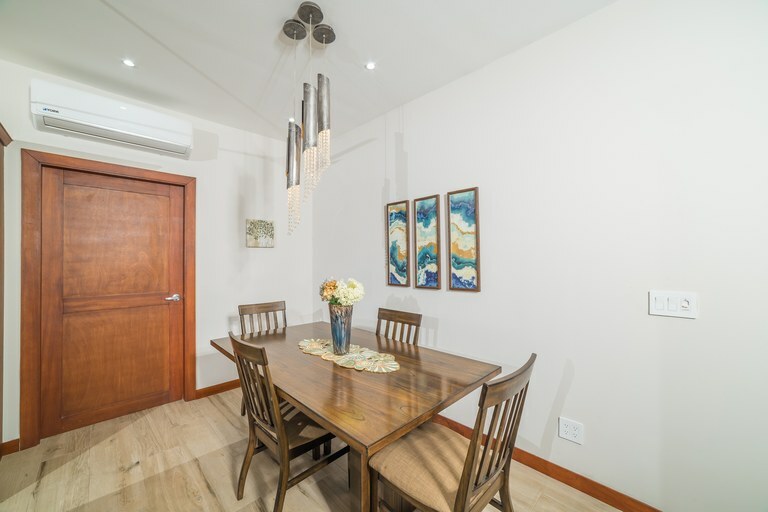 This property has many upgrades including double pane Pella windows, energy efficient steel frame construction, inverter mini-split A/C system, irrigation system and designer finishes. Bylaws and space would allow for 2 additional structures to be built on the lot if desired. 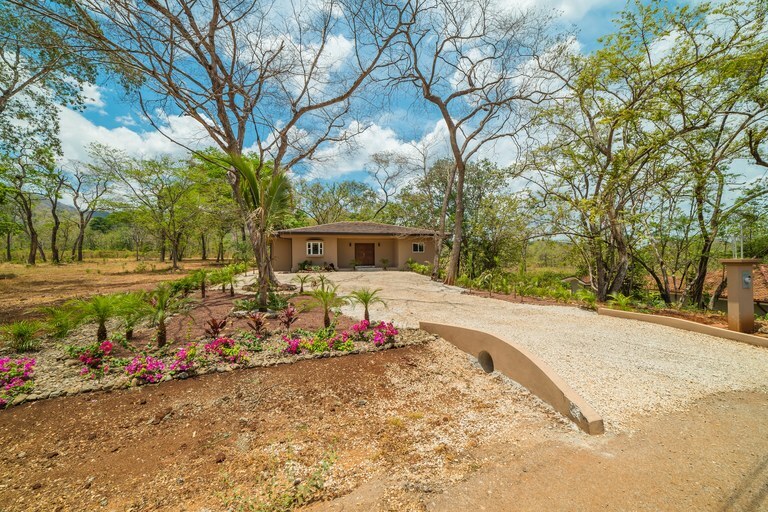 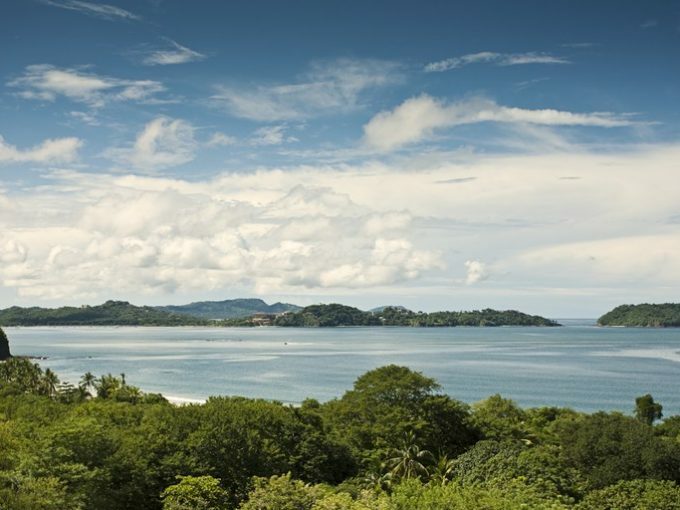 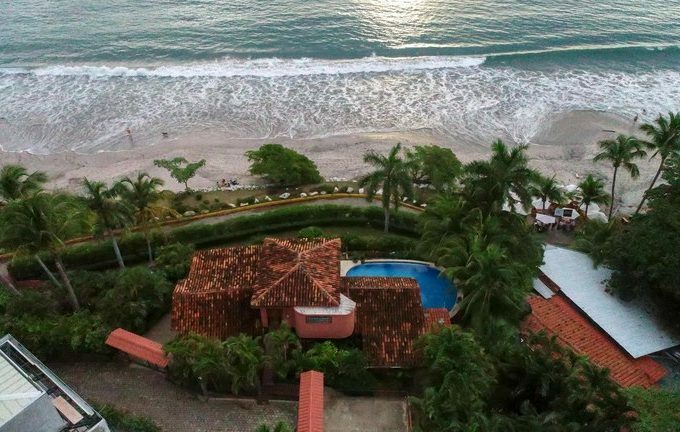 This home would make a great full-time residence, second home, or profitable vacation rental. 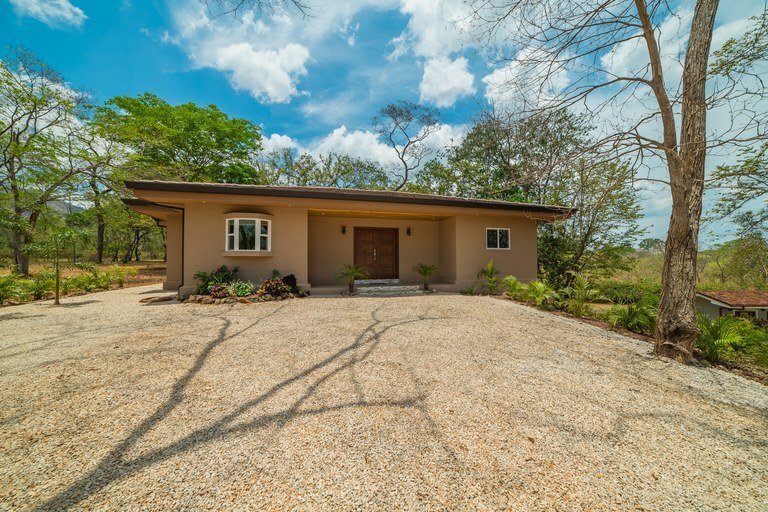 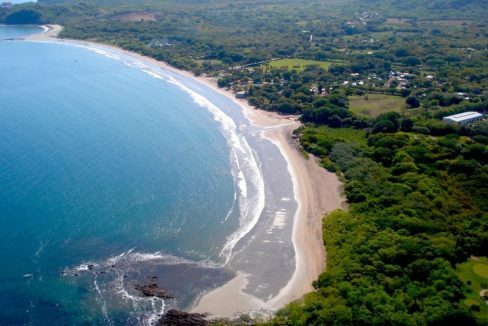 It is a 1 hour drive from the international Liberia Airport. Low HOA fees of only $83 per month! Take advantage of this turn-key home for only $475,000!